Health & Wellbeing at Kirkstall Forge recognised. 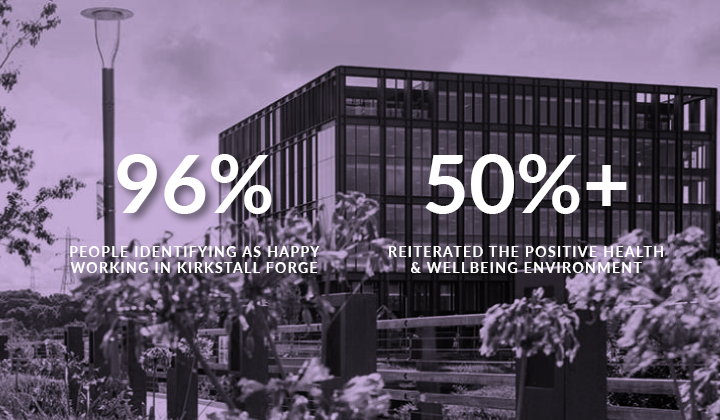 [18/04/2018]: Following the publication of this story, Number One Kirkstall Forge has been crowned winner at the 2018 Property Awards in the Health & Wellbeing category! [04/05/2018]: Number One Kirkstall Forge wins BCO award for Commercial Workplace. 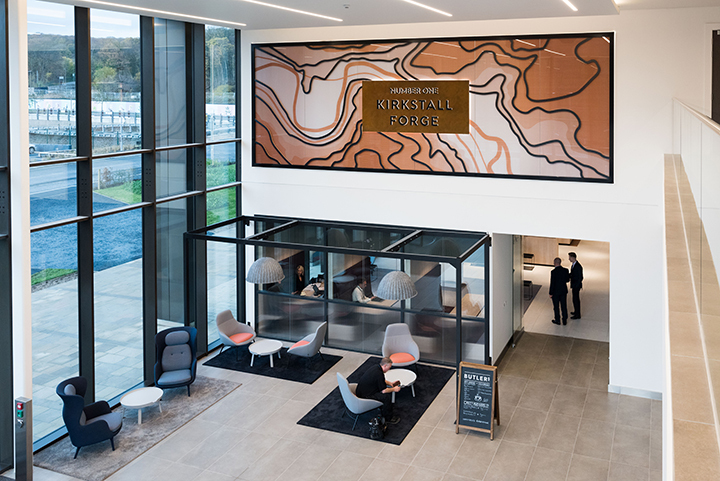 Number One Kirkstall Forge has been shortlisted for the 2018 Property Awards in the wellbeing category. Boldly conceived as a product that doesn’t currently exist in the market: Number One is a Grade A, BREEAM Excellent, Wired Score Platinum EPC A rated, high-quality office. Surrounded by 150 acres of green space, a canal towpath, and featuring riverside views, the office building empowers employees with active and sustainable travel lifestyle choices. Health & Wellbeing was considered throughout the design. Collaboration was key to achieving this best-in-class building. We were part of regular project team meetings with the tenants, landlord, project management team, and estates management team to discuss the delivery of ambitious health and wellbeing objectives. 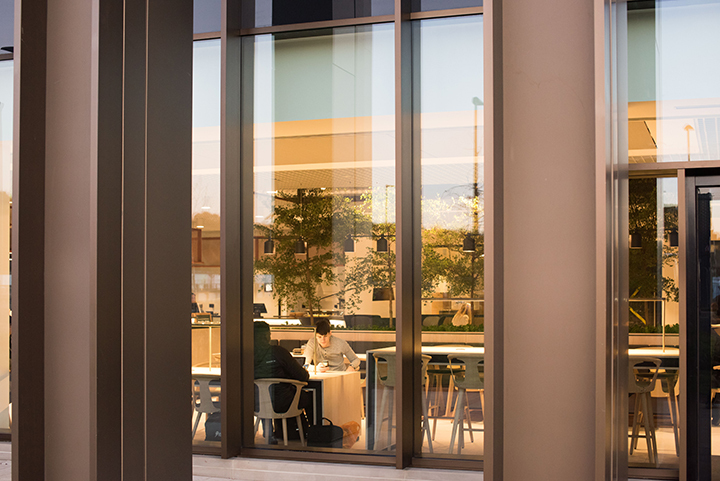 High levels of indoor air quality boost wellbeing, while the lighting design provides task-focused lighting and scene settings, controlling the working environment to suit the current activity. The flexibility of the services afforded via our M&E design mean environments can be tailored into a variety of configurations that underpin employee wellbeing. Number One works for people and planet, placing emphasis on nourishment, maximising daylight, enabling user control and designing in biodiversity.